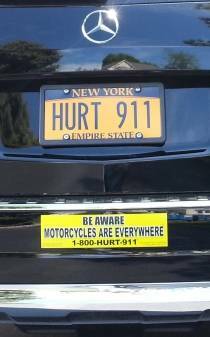 If you have been have been injured in a motorcycle accident in Long Island, Nassau County, Suffolk County, Queens, Brooklyn, Bronx, or New York City, please call and speak directly to me right now for a free consultation at 1-800-HURT-911. 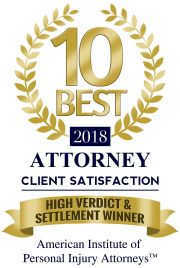 Although lawyers in New York State are not allowed to state that they are a specialist or an expert in motorcycle accident cases, I am allowed to state that my law practice is limited to representing clients injured in an accident with the majority of my personal injury practice representing motorcyclists hurt in motorcycle accidents which is why I only advertise for motorcycle accidents. My website name Long Island Motorcycle Accident Attorney.com is not intended to claim a specialization, but is intended to indicate to you the type of accidents I would like to represent you for. This website does not offer legal or medical advice. The content on this website is for informational and educational purposes only and is not intended as a substitute for the professional judgment of a legal and/or healthcare professional, and you should not rely upon any material or statements in this web site for legal or medical advice. It is not intended to create an attorney-client relationship. It is recommended that you review any medical information carefully with your doctor or healthcare professional before making any decisions regarding your health or recommended medical treatment. While reasonable attempts have been made to ensure the accuracy of the information on this web site, I cannot make express or implied representations or warranties about the accuracy or completeness of the information. The material does not necessarily reflect my opinions. Each person’s legal needs and facts are unique, and these materials may not be applicable to your legal situation. If you communicate with me through this site, please remember that e-mail is not secure and you should not send sensitive or confidential internet e-mail messages. Additionally, e-mail is inherently unreliable and it is very possible that your e-mail may never be delivered either because of anomalies of the Internet or because of a spam filter operated by one or more ISPs. Please be aware that the transmission of an e-mail itself does not create an attorney-client relationship. I cannot serve you as your counsel in any matter unless you and I expressly agree in writing that I serve as your attorney. You should also be aware that the statute of limitations (the deadline imposed by law within which you may bring a lawsuit) may severely limit the time remaining for you to file any potential claim you may have. Additionally, there are many other and much shorter deadlines, some of which are as little as 30 days after the date of your accident. Consequently, I highly recommend that you speak with an attorney immediately and that instead of sending an e-mail, call 1-800-HURT-911 for a free consultation right now. I am not allowed to offer any guarantee of case results. 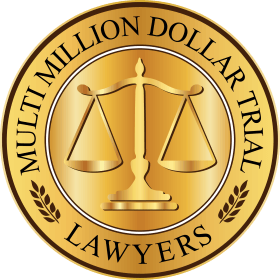 The cases mentioned in this site are illustrative of some of the matters previously handled involving various areas of personal injury law. These illustrations, though based upon cases handled by this office, are representative only and should not be viewed as an assurance of a particular result in your case. Each case must stand on its own facts and circumstances. This web site is considered advertising under applicable law and ethical rules. The hiring of an attorney is an important decision that should not be based solely upon advertisement. 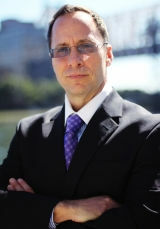 Before you decide to retain me, obtain a free consultation by calling Attorney Phil Franckel directly at 1-800-HURT-911. Because any delay could cause you to lose viable rights and benefits, please call Attorney Phil Franckel right now for a free consultation 7 days/nights. You can call me directly, even at 1 a.m. Several clients have been surprised to hear me answer the phone at 1 a.m. Motorcyclists have serious injuries and that makes you an important client. You should never be afraid that you are bothering me at unusual times. I am always pleasantly available to speak with you about any concern, even nights and weekends. Please call me now at 1-800-HURT-911.